What makes a great trail? On Thursday, June 9 at 7pm, the public is invited to meet with consultants to share their thoughts on the design of the proposed Manayunk Bridge trail. The design team, led by Whitman, Requardt and Associates, will host the meeting which will be held at the North Light Community Center, 175 Green Lane. As the design process moves forward, the team seeks to actively engage the public in shaping the look and feel of the trail. “We will meet with community groups and the public this spring and summer to get their ideas, share alternatives, and collaboratively develop the design,” said Jeff Riegner, leader of the WR&A Design Team. The meeting on June 9 is the first public meeting held by the group for this purpose. 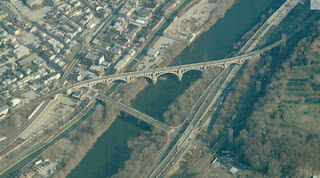 The walking and bicyclingtrail across the iconic Manayunk Bridge will connect Lower Merion Township’s Cynwyd Heritage Trail, currently under construction, with the site of a former SEPTA station at Dupont and High Streets in Manayunk. Future phases will extend the trail to the Ivy Ridge Station and beyond, eventually connecting to the Schuylkill River Trail at Shawmont Avenue. The design must be complete by fall 2012 to meet the terms of the $1.3 million grant PennDOT announced in January for construction. Partial funding for the final design of the bridge has been provided by the William Penn Foundation. The trail is heralded by community members and municipalities alike as a landmark project with the potential to be a pivotal link in the Philadelphia trail network. It is also recognized as a true collaborative effort, with project partners including Philadelphia Parks and Recreation, Philadelphia Streets Department, Delaware Valley Regional Planning Commission, Manayunk Development Corporation, Lower Merion Township, the Bicycle Coalition of Greater Philadelphia, and SEPTA.